Switching networks is a piece of cake! ? 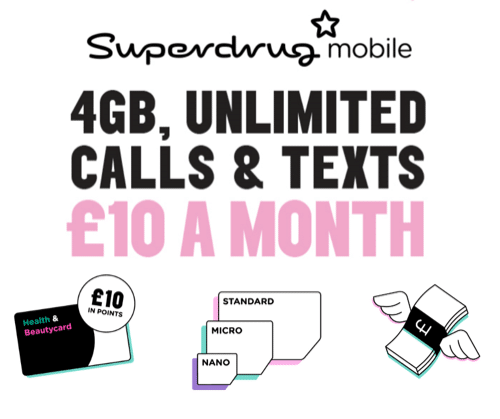 Join Superdrug mobile and receive £10 worth of loyalty points when registering! *Superdrug Mobile customers earn double Health & Beautycard points online and in store (2 for every £1 spent). This offer cannot be used in conjunction with any other additional points offers and promotions. Health & Beautycard terms apply. Please see Superdrug.com/bcTerms.